At Chiltern Hills Academy we are keen to promote healthy lifestyles and this includes healthy and safe travel to and from school. 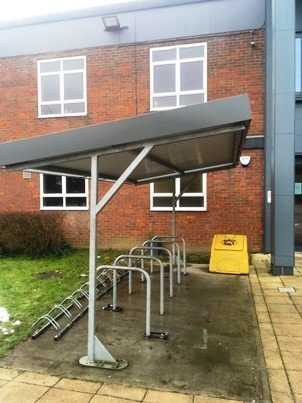 We have plenty of storage space for bicycles. If your son or daughter would like to cycle to school they will need to bring in a signed ‘Cycle to School’ permit. This is available from Student Services. The adjoining roads do get very congested at peak times, it may be better to drop off your son or daughter a short distance from the school. It is not possible to use the school car-parks for picking up or dropping off young people. There are however four parking bays for those students with disabilities. Please do not leave your car engine running if you are waiting to pick up a young person. Exhaust from idling vehicles can pose lung and respiratory problems and allergies. The carbon dioxide from emissions also contributes to global warming. It is also against the Highway Code. Please also be considerate to our neighbours and make sure that you do not block or impede driveways in the locality. Park safely with consideration to other road users and pedestrians. Parking on a pavement will mean students may have to walk in the road.